Deadline for submitting your registration was Midnight Thursday! We’ve decided to give you a wee bit of a homework extension – There are now SIX 6hr Challenge teams and we’ve got plenty of room for more! $20 per team member, up to 4 members to a team. – NO EXCUSES! 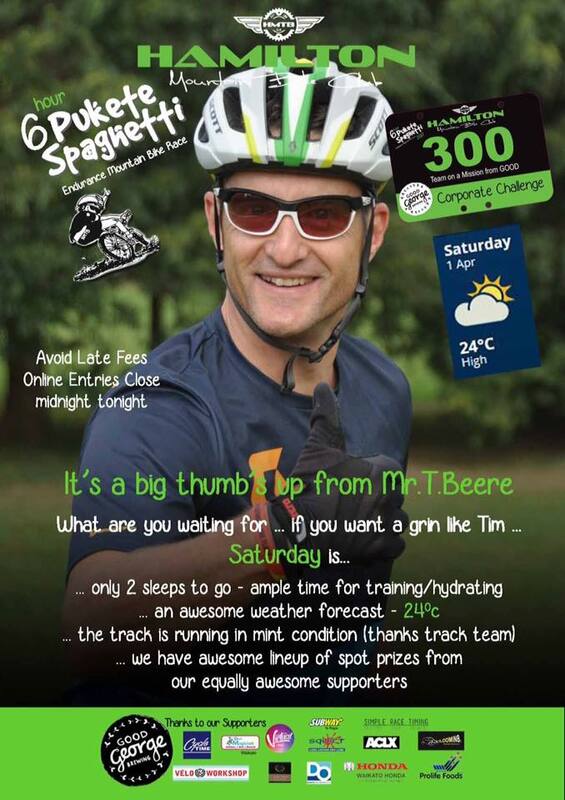 Posted in club, News and tagged club, Pukete Spaghetti, racing, Team Challenge.